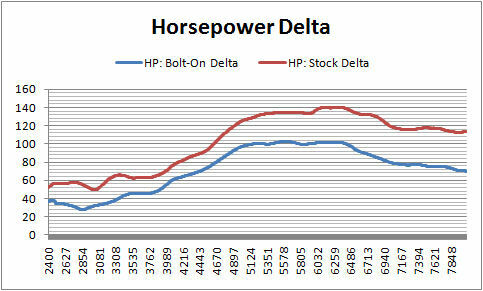 Many people have been asking about the latest dyno results for the RD Sport RS-46 stroker motor. 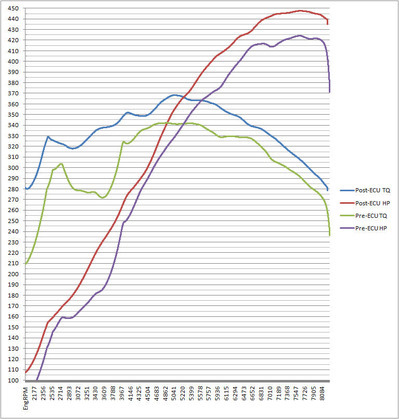 Since I posted my last results in April, the car has been dyno'd many times and on many dynos. 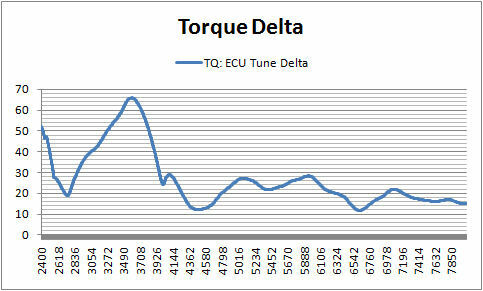 We've completed the ECU tuning, and eliminated the torque dip that was so prevalent in the previous dyno results. 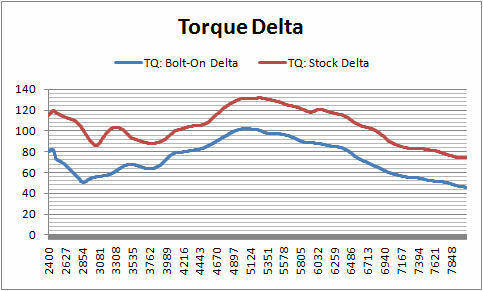 I know many people are going to ask how the torque dip was fixed. I've read one or two speculations on this forum about it. As a development customer, I'm not at liberty to say. It's not that I've been asked to keep it secret (I haven't), I choose not disclose it because it's not my information to disclose. 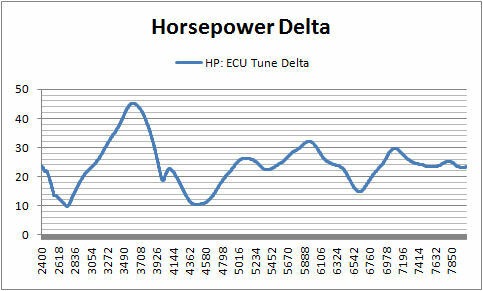 But just to correct the most prevalent myth I've read, the dip was not caused by, nor fixed by ECU tuning. The results presented here are on 96 octane: obtained by mixing approximately 6.6 gallons of 91 octane with 10 gallons of 100 octane. Normally, I would run an entire tank and one-half at this mixture before dyno testing. 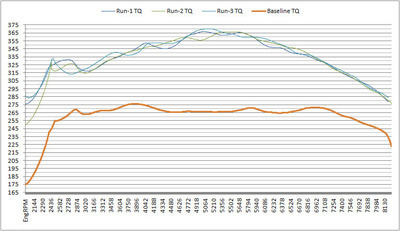 This gives the ECU time to adapt and clear bad adaptation data in its memory. Due to a short time schedule, I only had enough time to fill up the gas tanks and drive 20 miles directly to the dyno shop. 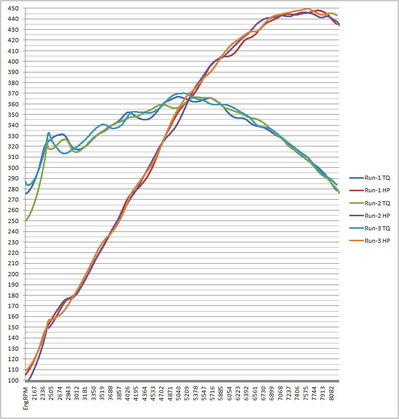 Certainly this wasn't enough time to allow the ECU to adapt to the new gasoline. Regardless, these are the results on 96 octane, and a partially adapted ECU. 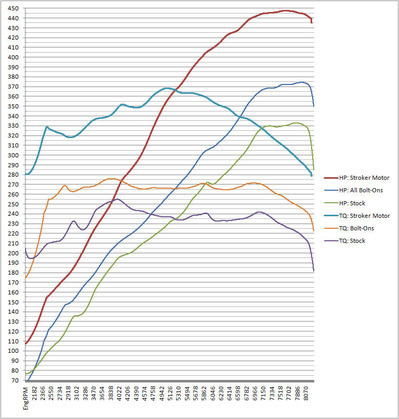 This page contains a single entry by PencilGeek published on November 25, 2009 10:09 PM. 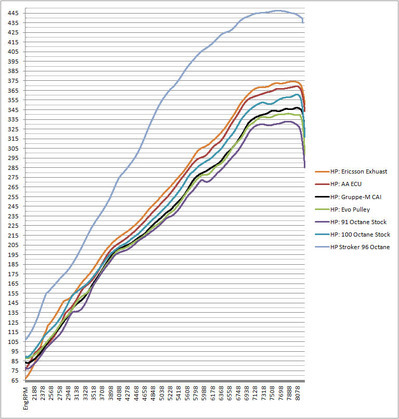 Exposing DYNO cheaters: how they do it, and how to catch them was the previous entry in this blog. How to program your own vehicle is the next entry in this blog.